The National Park Service; Rivers, Trails and Conservation Assistance Program and the Centers for Disease Control and Prevention released a report entitled, “Improving Public Health through Public Parks and Trails: Eight Common Measures”. The eight measures include: proximity, walking access, park connectivity, land area, physical activity, visitation, frequency and duration. 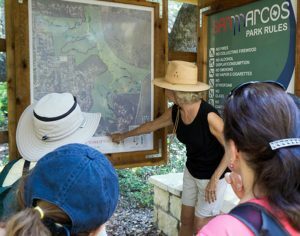 San Marcos is well into meeting some of these measures with five natural areas containing more than 1,200 acres and 22 miles of trails. 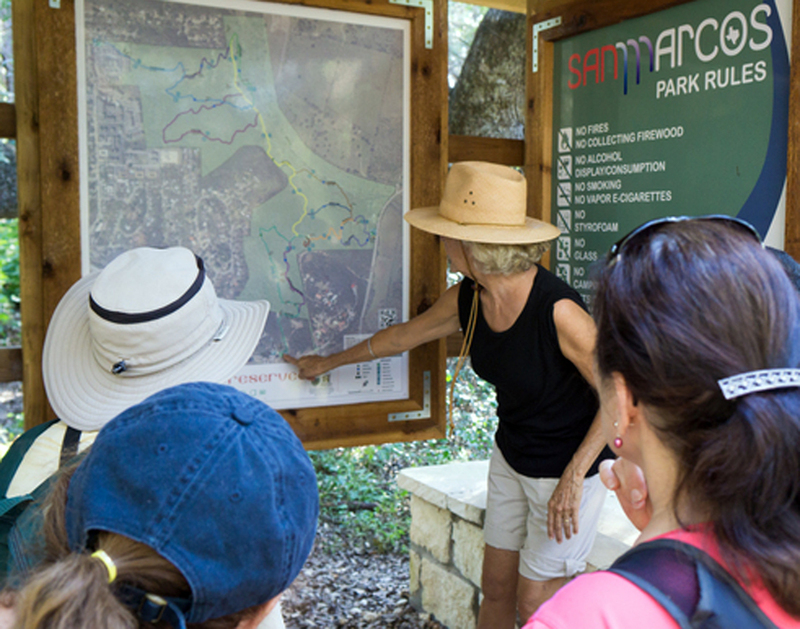 As the Central Texas area continues to develop the need for more natural areas grows. The public health benefits of parks and trails are broad and crosscutting. For individuals, benefits include providing places for physical activity, improving mental health, reducing stress, providing connections to nature, and increasing social interactions. Parks and trails can simultaneously provide venues for community events, activities, and public health programs and improve the environment. Parks and trails that contain tree canopy can protect and improve public health by mitigating urban heat islands. Parks can reduce flooding risks by capturing and detaining floodwaters in wetlands or other park facilities such as playing fields. Parks can also protect human health and property loss by deterring development in areas prone to events like mudslides, wildfires, and flooding. Are There Really Golden Cheeked Warblers in the Natural Areas?